We are custom home builders for North Carolina and Tennessee. 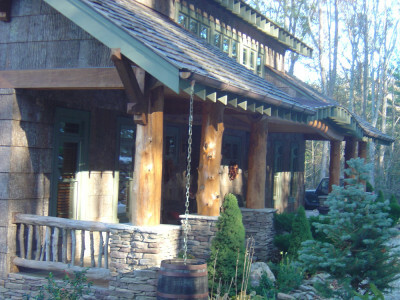 We build homes in Boone, Blowing Rock, Linville, Banner Elk, Lake James,NC and Watauga Lake,TN. Many people building second homes live a good distance from where their second home is being built. Please read further for a few tips on the process of building from far away. Ever dream of owning your own second home in the North Carolina mountains or foothills? What about the idea of living part time in Boone, Blowing Rock or Banner Elk? The weather is cool here in the summer and the scenery peaceful and beautiful. Do you want to be here for the privacy, quiet, views and access to small town atmosphere? How about having access to ASU, The Blowing Rock Art and History Museum and other cultural aspects of our mountain community? Do you think you have found the perfect piece of property but never act on it because it's located 100 or 1,000 miles away and you don't know how to make that work? Building a New Home can be a stressful task with all the different construction and design decisions. The distance could bring up different challenging factors. We at Mountain Construction Enterprises are here to help. The majority of our clients are from out of town and most are from out of state. We can help you design and build your Dream Home even though we may seldom see you. We have over 28 years of experience, and many satisfied clients with fine homes to testify to the ease of the process. We understand long-distance building can be a daunting prospect. Here are a few easy steps you can consider to make your long distance building dream come true. Who says building a home has to be all stress? We hope to make the process as easy as possible while having a little fun along the way. One of the most crucial steps of building a custom home across the country is finding the best people for the job. You want to make sure your contractor and his subcontract team (grader, foundation men, masons, plumbers, carpenters, roofers, etc.) are creative and trustworthy people more than willing to work with you every step of the way. Start by taking the time to educate yourself. Those who do this usually have the best experiences. A great way to begin this process is home shows, magazines, or the Internet. One particular concern you should always consider is the talent and experience your builder has. If he is unlicensed and inexperienced and only has a cell phone and no office, this should be of concern to you. You want to know the strength and commitment to longevity and to the community that your builder has. A builder and his project managers who keep in touch with you is essential in the process of building a long-distance home. This is your best way to stay up to speed with the construction process. You can relay messages through photos on digital cameras, cell phones, and emails. This will help you visualize what's going on at all times, helping you to make decisions even if you're hundreds of miles away. Does your builder use e-mail? Is he or she a good communicator? Does your builder have back up support staff? Are you comfortable with your builder's reputation to manage your resources and to make sure that these resources go into your home, as agreed. There are many different thoughts on the amount of visits you should take to the site. Most custom homebuilders believe you should visit at least once a month. If that is not possible you should try to come at the crucial points of the construction. This will ensure not having any surprises once you move in. Being patient is a crucial key to building a long distance home. Factors such as bad weather, shipment delays and crew availability are some of the reasons for a project to fall off schedule. The key is not to panic. If you prepare for the unexpected you will not be nearly as frustrated. This is why your contractor selection should be someone you trust. You would not have hired them if you didn't trust in what they do best. People tend to believe building a home far away is usually more expensive. In fact, by choosing the right builder, this should not be the case. Home building costs depend on local labor rates, price of materials, slope of your lot, grading, underground power and much more. One of the best ways to keep cost down is making decisions ahead of time. Last minute changes often cost you more money. For more information on Getting Started or related to home building cost control please refer to other articles on this web site that discuss this very issue or call us at Mountain Construction. Mountain Construction Company are North Carolina Builders that specialize in New Home Construction. 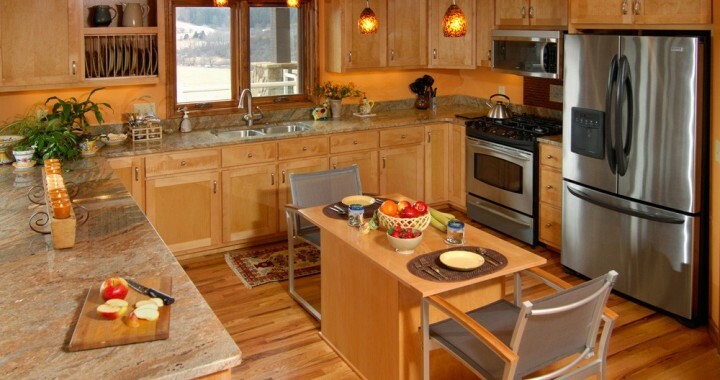 We also can provide Remodeling services, and are happy to work with you as Cabin Builders on your next Log Cabin. Over the years, we have been Timber Frame Builders as well as building Structural Insulated Panel and Conventional Homes. We invite you to take a look through our site to see some examples of our work.